As the pre-eminent Property Management office in the Eastern Suburbs we pride ourselves on meeting our clients’ needs and always achieving the outcome they are looking for. At Ham Kerr Property we nurture and forge long term relationships with our clients, due to our long standing, dedicated staff members. We do not have a revolving staff door. Our relaxed and friendly business approach will often see us having a coffee in one of Balwyn’s local cafes with our Landlords. 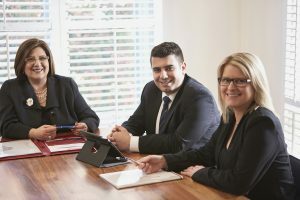 Our highly skilled property management team undertake regular training, so that we are the most up-to-date with legislative changes and requirements and for professional development. Many landlords are mistaken in the belief that their needs are better served by a large office or multi-office network. We are often led to believe that a larger business will give better service. Yet we know that in reality, the smaller office, gives the best professional service and best possible results. It’s important to understand that when you appoint Ham Kerr Property as your managing agent you can be assured of the best possible results as we pride ourselves in giving maximum service in order to achieve maximum results for you, the client. We invite you to make an appointment to discuss and inspect our files, systems and procedures and discover what results we can achieve for you. We will show you first hand what has earned us our impressive reputation.